Super strength: Comic book driven superhero epics have enjoyed boxoffice super strength for years and that's a safe bet to continue with Friday's launch of "Batman v Superman: Dawn of Justice." After thesuccess of franchises built around individual superheroes like Warner Bros. and DC Comics' Superman and Batman or Marvel Studios' Spider-Man, Iron Man and Captain America, the genre's evolved into superhero team stories that deliver much more bang for the buck. Marvel and Disney's "The Avengers,"which opened May 4, 2012 to a record setting $207.4 million, tops the list of superhero hits with $623.4 million domestically. What Marvel did that worked so well was to depict a universe in which many of its superheroes co-existed, including: Iron Man (Robert Downey Jr.), Captain America (Chris Evans), The Hulk (Mark Ruffalo), Thor (Chris Hemsworth) and Black Widow (Scarlett Johansson). The franchise's second episode, "Avengers: Age of Ultron,"is the third highest grossing domestic superhero hit with $459 million. It opened May 1, 2015 to $191.3 million. Warner Bros. has the same concept now of a universe in which multiple superheroes interact in "BvS,"opening Mar. 25at about 4,100 theatres for the Easterholiday weekend. The PG-13 rated 3D fantasy action adventure from Warner Bros., DC Comics and RatPac Dune Entertainment is from "Man of Steel" director Zack Snyder. 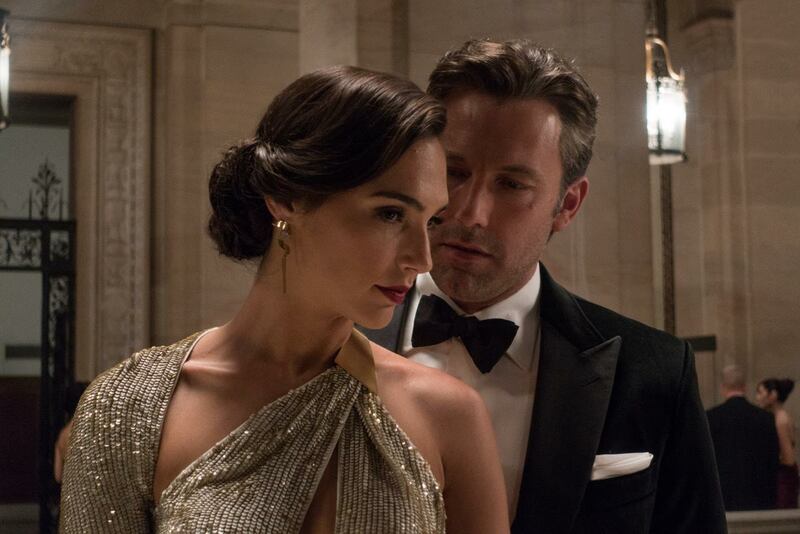 "BvS"stars Ben Affleck as Bruce Wayne/Batman; and Henry Cavill as Clark Kent/Superman, but also introduces Gal Gadot in a supporting role as Diana Prince/Wonder Woman. A feature revolving around Gadot as Wonder Womanis opening via WB June 23, 2017. Directed by Patty Jenkins ("Monster"), its other stars include Robin Wright and Chris Pine. WB and DC will expand their comic characters' universe with "The Justice League, Part One," opening Nov. 17, 2017. Directed by Zack Snyder ("BvS"), its cast features: Ben Affleck as Bruce Wayne/Batman; Henry Cavill as Clark Kent/Superman; Gal Gadot as Diana Prince/Wonder Woman; Jason Momoa as Arthur Curry/Aquaman; Ezra Miller as Barry Allen/The Flash; and Ray Fisher as Victor Stone/Cyborg. Among the mortals on board are: Amy Adams as Lois Lane and J.K. Simmons as Commissioner Gordon. "The Justice League, Part Two,"also to be directed by Snyder, is scheduled for release via WB June 14, 2019. Meanwhile, Hollywood handicappers are predicting a super-powered opening of $140 million or even more for "BvS," which should play best to male moviegoers.Its only wide opening competition this weekend will be from the female appeal PG-13 rated comedy "My Big Fat Greek Wedding 2" from Universal Pictures, Gold Circle Films, HBO Films and Playtone at about 3,000 theatres. Directed by Kirk Jones ("What to Expect When You're Expecting"), it stars Nia Vardalos, John Corbett and Michael Constantine and should play best to adult women. The first"MBFGW" opened wide Aug. 16, 2002 to $5.7 million and after an extraordinary 52 week run did $241.4 million domestically. 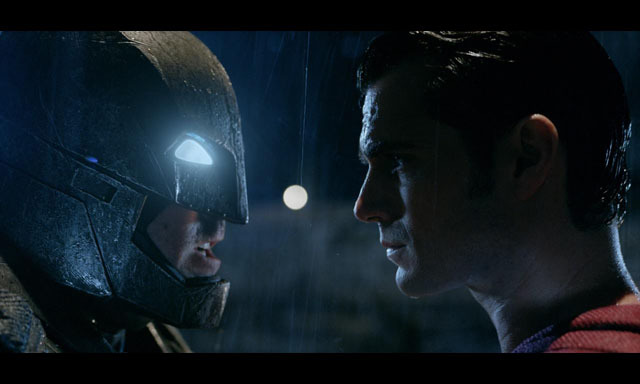 In "BvS,"with Batman and Superman at war, a new threat emerges that puts mankind in greater danger than ever before. The last Batman franchise episode, "The Dark Knight Rises," opened July 20, 2012 to $160.9 million and did $448.1 million domestically. The last Superman franchise episode, "Man of Steel," opened June 14, 2013 to $116.6 million and did $291 million domestically. Focusing on the making of "BvS," director Zack Snyder explains, "We felt an interesting way of beginning this story was to examine Superman from another perspective, Batman's perspective. Bruce doesn't know who Superman is; all he knows is what the public knows. He blames him for the lives lost in Metropolis, lives that he felt responsible for. His hatred has been building up inside, and now, all this time later, he's finding reinforcement of those feelings in the media." For two years, Superman has soared to the rescue of countless victims around the globe and the world has praised his god-like abilities. But with unavoidable destruction in the wake of good deeds, the collateral damage from his efforts is finally causing many to question those who will onlysee what he can do, without debating whether or not he should. It's a question he has even begun to ask himself, thanks to the machinations of one masterful mind hell-bent on his humiliation and destruction. "When we find Superman, he's been dealing with everyday life as a Super Hero, but there's a distinct shift happening in how his heroic efforts are viewed, thanks to the unintended consequences of those acts," Snyder adds. "Every action has a reaction; one guy's rescue leaves another in distress. We wanted to explore the reality of saving people and what intervening can really mean. The classic idea with Superman is that he's a good guy trying to do the right thing and that he isn’t political, but in truth, in today's world, it's impossible not to be, no matter your intentions." "I think the story really sets the stage nicely for understanding why Batman wants to fight Superman," says Ben Affleck. "It's logical to assume that they'd be friends since they're both good guys, but this film takes a more nuanced view of how these characters might exist in the real world and what sort of complications might come about as a result of their abilities and actions." "Superman is beginning to face the exact challenges Jonathan Kent was worried about," observes Henry Cavill. "The world is filled with fear after being attacked by aliens and literally shaken to its very core. Despite having what they look to as a redeemer, the people need to direct their fear at something. In the meantime, Superman is still trying to do right by everyone and ignore the slings and arrows." Screenwriter Chris Terrio observes about Batman and Lex Luthor (Jesse Eisenberg): "Both Bruce and Lex are billionaires, both are orphans, and both are obsessed with Superman's absolute power. They have, at a point, the same agenda: stop Superman at any cost. But Bruce's motives are basically good, while Lex is pathological." "Lex Luthor has always been one of the great DC villains. And one of the most epic stories in the canon was when Batman and Superman squared off against each other,"notes producer Charles Roven. "As we sought an expansion of the universe with this film, we felt that bringing these characters together was natural. Metropolis needed rebuilding, Lex is the city's major benefactor, and he and Bruce Wayne actually share similar business enterprises in the manufacturing and digital worlds." After what took place at the end of the previous film, it just might be plausible, the filmmakers theorized, that Bruce and Lex would direct a common anger toward Superman. "Superhero movies tend to happen in a vacuum -- epic damage happens and everyone just sort of goes back to what they were doing," says screenwriter David S. Goyer. "In our view, it would really scar not just the city or the nation, but the world. It wasn't intentional on Superman's part, but a lot of people became fearful afterwards, and that's the impetus that causes Bruce to become suspicious of him. Lex uses that wedge issue, that nascent mistrust brewing in the general public, to foment that." "We had left the Easter eggs in the previous film -- the LexCorp truck on the street of Metropolis, the Wayne Industries satellite above," Roven adds, "allowing us to go where we felt the story and characters would lead us." To bringBatman and Luthor into Superman's newly established world in an organic way required careful handling. "Everyone wants to see Batman and Superman in a film together, and everyone wants to see them fight," says producer Deborah Snyder. "It’s a thrill for anyone who loves comics, and Zack is not only a director but a huge comics fan as well. "We wanted to introduce a version of Batman that hasn't been seen on screen before. One who's been doing this a long time so he's seasoned, but perhaps a little too long, so he's also jaded. If you’re constantly fighting crime in the way Batman does, over time how does that affect your body? How does it affect you emotionally?" Bottom line:March came in like a boxoffice lion and at mid-month it's still roaring. Walt Disney Pictures' PG rated 3D animated family action adventure "Zootopia"placed first for the third straight time last weekend with $38 million, bringing its cume to $201.8 million. "The global cume now stands at an impressive $592 million with the UK and Japan still to open," Disney said. "Internationally, 'Zootopia' closes in on $400 million. 'Zootopia' enjoyed strong openings in Australia and Brazil, while the Ukraine opening was the second highest Disney opening ever (animation and live action). In China, 'Zootopia' grossed an estimated $38.6 million for the weekend to take its estimated cume to $173.4 million. "Meanwhile in Russia, 'Zootopia' is now the #5 biggest all-time industry release ever. Germany sees 'Zootopia' hold off all new releases to clearly maintain the #1 spot again in its third week of release. Finally, in opened territories, strong holds were seen throughout international territories, with increases seen in Korea, Malaysia, Singapore and Taiwan." Second place last weekend went to Summit Entertainment and Red Wagon Entertainment's $29.1 million opening of the PG-13 rated fantasy action adventure "The Divergent Series: Allegiant." Now with "BvS" on the horizon, it's a safe bet that March will also be going out like a lion.